Pantry season is upon us! Our first distribution will be Sunday, November 4th, 12 Noon to 2 PM, in Harbor House. There will be an orientation for volunteers on Tuesday, October 30 at 4:00 p.m. at St. John's Common Room. The Westside Food Pantry will receive $1 for each Fight Hunger bag purchased at Hannaford's in Bar Harbor during November. 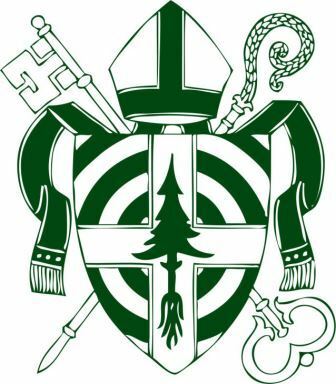 Moving forward in the process that will lead to the calling of our next bishop, the Diocese of Maine has published our Diocesan Profile at http://bishopquest.episcopalmaine.org/timeline/profile/. This snapshot of our diocese has been made available across the church, and it is worth reading to see how we are presenting ourselves to potential candidates. The profile also includes a timeline of the process, culminating in an election in February and the consecration of the Tenth Bishop of Maine in June, 2019. Saturday, October 27, TEMPO Youth Orchestra will have a concert at 2:00 pm. Come and enjoy this wonderful musical gift to the community! Spookiest Organ Concert Ever, Tuesday, October 30, at 5:30 p.m. Organist Dr. Daniel Pyle will play a recital of Spooky Organ Music at St. Saviour's Church. The concert will open with the famous Toccata and Fugue in D minor by Bach and conclude with the "Suite Gothique" by Leon Boëllmann; in between will be other music by Bach, as well as Olivier Messiaen and Andrew Lloyd Webber. Admission to the concert is free, and costumes are welcome. The Alcyon Center is a place of contemplation and peace, offering a variety of programs including quiet days, a gathering of women to discuss various topics through poetry, personal experiences (Soul Friends), a monthly quiet day and a weekly study of the Gospel for the coming Sunday. The center is located in Seal Cove on MDI. For more information please either email office@alcyoncenter.org or call 207.244.1060. Sue Newman, Beth Pfeifer, Douglas Mays, Eric Lange, Paul Milligan, Dorothy Clunan, Anne DeGolyer, Jackie Mayhew, Betty Mitchell, Jim Risser, Ray McDonald, Bill and Barbara Loveland, Win Short, and Bob Theriault. Copyright © 2018 St. Andrew & St. John Episcopal Church, All rights reserved. In an effort to continue to grow our presence in Southwest Harbor, as well as attend to the needs of the parish, our principal Sunday service will remain at 10am. Beginning in November and throughout Advent (11/4-12/23), a contemplative 8am Sunday service will also be offered. During the deep winter months, we will take a break from the 8am, which will resume after Easter, if not before, and until St. Andrew's re-opens. Forums and parish meetings will be held before the 10am service at 9am. A reminder too that a Healing Eucharist is available throughout the year on Thursdays at 12noon. See you this Sunday 10/21 at 10am! First Lesson/Psalm/Second Lesson: Stephen M.
Pantry season is upon us! Our first distribution will be Sunday, November 4th, 12 Noon to 2 PM, in Harbor House. Preparations are underway for the opening. I am calling on anyone who can spare all or part of Saturday, October 20, 1 to 3 PM, at St. John Episcopal Church, 315 Main Street to assist with getting out this year's annual appeal mailing. As you know, over 75% of the monies that support the Pantry come from those whom we remind of our work annually through this appeal. It is very important to what we do. Please help out this Saturday if you can. Thank you for joining this effort! Barbara Campbell has hand-addressed each of the over 300 appeal envelopes. Please join in sending them on their way. Spookiest Organ Concert Ever, Tuesday, October 30, at 5:30 p.m.
Franklin Savings Bank is giving out grants that range from $1,000 to $10,000 and you could make Families First Community Center A WINNER !!! Franklin Savings is celebrating 150 Years and are donating a total of $150,000 to nonprofits! Nominate Families First Community Center by accessing https://www.fsbcommunity150.com. Vote before October 15th. Eric Lange, Paul Milligan, Dorothy Clunan, Anne DeGolyer, Jackie Mayhew, Betty Mitchell, Cody Van Heerden, Jim Risser, Ray McDonald, Bill and Barbara Loveland, Win Short, and Bob Theriault.